A 19-year-old from Kanpur caught the fancy of my eyes at SHEROES Art, Craft & Photography Community. Take a look at more of her works before I take you through her life-story which is quite moving and inspiring. Harshita Sharma from Kanpur, cleared the entrance exam for NIFT, the top designing institute of India in 2017. But she didn't join it and is today trying to fund her future education by selling stone art! Putting up a very brave front, but fighting back her emotions, Harshita starts opening up slowly, "Mahima ma’am, the annual fees of two-and-a-half lakh rupees with add-ons towards various activities, was way beyond the reach of my parents. Mom is a home-manager and father a financial advisor in a government bank. They have to raise my two younger brothers also, who studies in class 10 and six respectively. Since I had a passion for arts and crafts, I decided to help them, by making a few extra bucks through artwork." And you will be surprised to know that Harshita has learnt all this through YouTube Tutorials since she cannot afford a tutor. And takes pride in the fact that she is a self-taught artist who is improving and trying to make a living through it. "How many get the chance to do it? My parents, though cannot afford it, but are quite supportive of my dreams to be an Art Entrepreneur in future," smiles a very courageous Harshita. She recalls how she took to stone art. Not many in her circle are aware that she gives tuition to younger students at home. What began as to help them with an 'ART-FROM-WASTE school project, later with her growing liking towards it, became her secondary source of income. "When my student's school teachers, as well as other people, began appreciating stone-art work, I decided to learn more about it through YouTube. I realised I had an inner pull towards it. Also, there is one more aspect to it - in India, there are not many stone artists thus this art is not very popular. But abroad, this art-form is very popular and highly paid as well. Thus, with time, I am trying to make a mark in this arena, as well as fund my education for now," informs Harshita. She also asserts that paint-worthy tones are readily available as waste in her locality since she lives close to a commercial construction area. And thus it saves her a lot of money! But yes, not all stones are art-worthy...and she takes it took her a lot of time to learn how to pick the right stone, for shaping that perfect artwork that sells at a good price. And for chasing her dreams she has to undergo a lot. Besides preparing for the entrance exams of Bachelors in Fine Arts (through an affordable college in Delhi or BHU), Harshita daily visits various art shops in Kanpur. "I go from one art-selling shop to another. I place my work as samples. And sooner or later, I get orders for more. it took me a long time to reach here. Now I get 12 to 13 orders a day. And stone art sells from as low as Rs. 100 to as high as Rs. 500. I am young and new. And soon I will create my own bigger and better space," asserts a very determined Harshita. 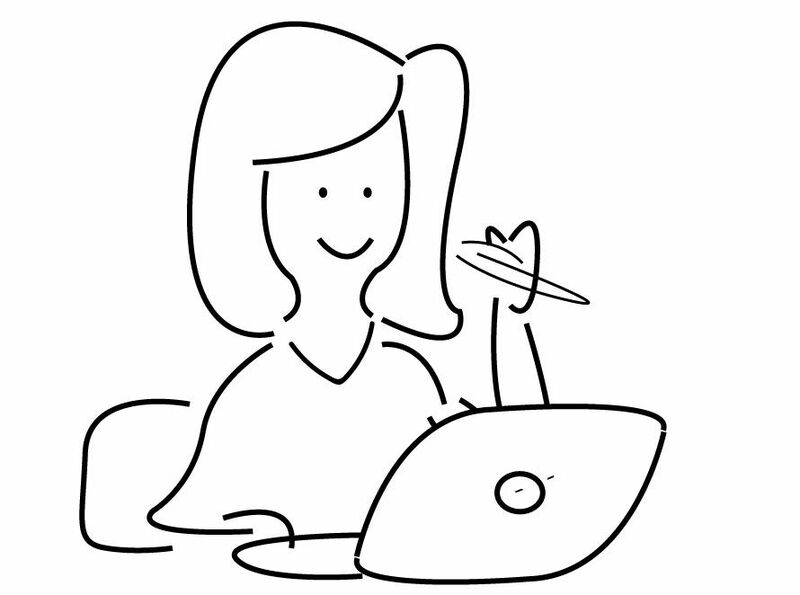 She goes on to add that joining SHEROES in 2018 gave wings to her dreams," I was casually browsing the internet when I got to learn about this women-only community. I am overwhelmed by the support that I have got through various community members. Not only they appreciate my work, but there are some seniors in the Art, Craft & Photography Community who answer my queries, help me improve my art and also act as critiques. I cannot describe in words how much I love SHEROES and what it means to me. All I can say is a BIG THANK YOU." 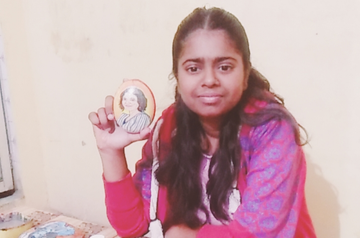 And as gratitude to Sairee Chahal, the Founder and CEO of SHEROES, Harshita recently painted her portrait on a stone! "I am a simple girl, with dreams to excel in something I am passionate and confident about. I wish to make my parents proud of me. And if you are someone like me, then my only message to you is NEVER GIVE UP!" If #HerStory has touched your heart and left you inspired, do share it...who knows you mind end up making life better! Don't forget to pour some love for her in the comments column. And we will continue to bring you such inspiring stories in our ongoing #MeetTheSheroes series. You can follow Harshita Sharma at SHEROES. @Harshita Sharma ur parents are already proud to have a brave daughter. .. ur work is worth ur efforts ... congratulations and may God bless you with bigger and better plans in future. ..
Harshita Ur a brave gril.I proud of you, all the best & god bless you dear.mai bhi Kanpur se hun . kabhi aaungi to milungi. Your stone art is stunning Harshita! Your time has started. Wait a few more years girl and NIFT will call you to take a lecture as an art expert. Cheers to life! All the Best wishes to you Harshita! You are an amazing artist! Nothing can stop you,start your dedicated art instagram page,let the world see your talent. There's no stopping you dear Harshita Sharma. Someday, you'll own your stone art gallery. YOU WILL! !